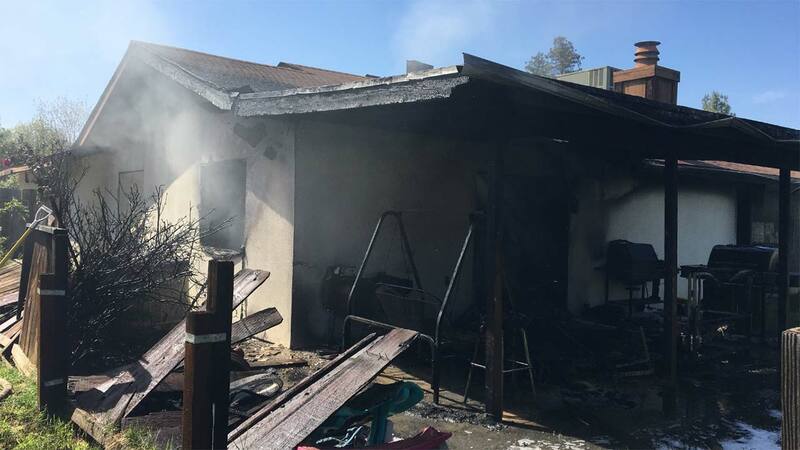 FRESNO, Calif. (KFSN) -- Visalia fire crews battled a two-alarm house fire on Monday afternoon in Southwest Visalia. Nobody was home, except for the dog, on Monday afternoon as Visalia firefighters responded to a residential fire on Crenshaw Street near Howard Court -- in the area of Tulare Avenue and Akers Street. Firefighters said the dog passed away due to smoke inhalation.